It has been an incredible journey for The Man. Becky Lynch's rise from being just another female Superstar to The Man has been one of the greatest stories in pro wrestling in a long time. The first-ever SmackDown Women's Champion is on the cusp of creating history, as she is on course to main event WrestleMania 35 alongside Ronda Rousey and Charlotte Flair. However, Lynch would have never been in the current position had WWE gone through with the decision of releasing her in 2014. 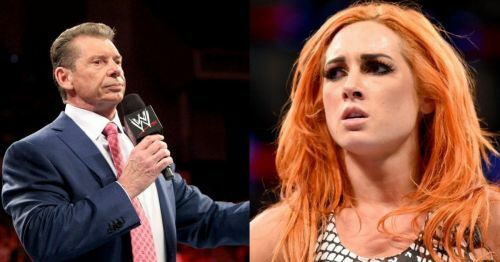 On the occasion of St. Patrick's Day, the Raw Women's title contender opened up about the incident in an inspirational Twitter post. Lynch began her pro wrestling career in 2002 and worked for various independent promotions, first in Ireland, and later on in North America and Europe. The Irish superstar suffered a severe head in injury while wrestling a match in Germany in 2006, which pushed her into depression and saw her wrestle a handful of matches in the six years that followed. Lynch would return to in-ring action as a full-time performer in 2012 and would, later on, get picked up by the WWE in 2013. She began her WWE career in NXT and went on to make her main roster debut in 2015. The Irish Lasskicker's career trajectory may seem slow compared to her Four Horsewomen peers but her popularity has snowballed to unimaginable heights in recent months. Lynch had a forgettable first year in NXT as she ended up losing twelve house shows matches during her initial phase in WWE's developmental system. Lynch would make her NXT TV debut on May 30th, 2014 in a winning effort against Summer Rae. She revealed on Twitter that WWE has originally planned on showing her the door weeks before the aforementioned match. The Irish dancing gimmick was always bound to fail and the creative forces decided to give Lynch a much-needed revamp. From almost being released in 2014 to potentially winning the Raw Women's Championship in the main event of WrestleMania; it doesn't get any better than that! Ronda Rousey vs Becky Lynch: Real Heat or Kayfabe?